Melissa's abstract paintings reflect the fluidity of the seasons and the movement of her soul in nature. She is inspired to merge her impressions of exterior landscapes with her interior language and then transpose these concepts into works of art. Melissa's work echoes of nature in both subject and in content. 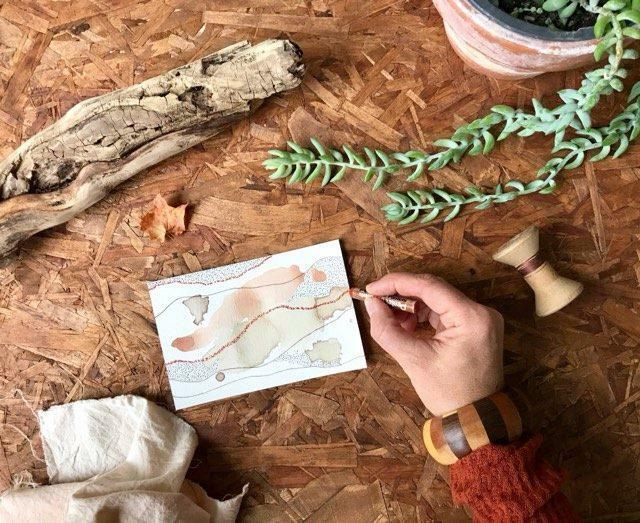 She creates and paints with botanical inks foraged from her natural surroundings which connects her work even more to her environment.